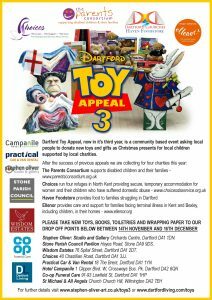 Dartford Toy Appeal 3 has received over 1,000 Christmas gifts for local children. 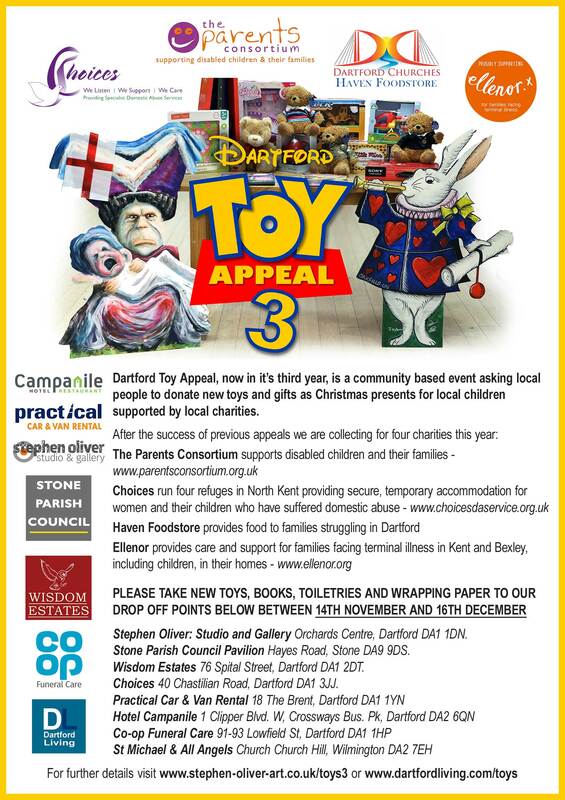 Launched in 2013, Dartford Toy Appeal was an idea from Kelly Grehan, a Dartford resident, to collect Christmas presents for local, disadvantaged children. At that time her hopes were to have around forty toys donated for the one charity, Choices. Through her tireless enthusiasm and dedication the project has grown from four drop off locations in Dartford to at least six throughout the borough. This year the appeal ran from 14th November to 16th December. As soon as the appeal was publicised people began making donations. Clubs, businesses and groups began getting in touch asking if they could join in; churches, play schools, shops, members clubs, families, adults and children across our community contributed. After all the toys and gifts had been distributed to the four charities (Choices, The Parents Consortium, ellenor, and Haven Foodstore) there was a little time left for a photo shoot at the Gallery.